The anticipation was palpable as Gen. David Petraeus took his seat in the Senate Intelligence Committee hearing room Thursday afternoon for his confirmation session as the Leon Panetta’s likely successor as director of the CIA. The much-decorated general, in his last months as Central Command chief, had just lost an internal battle over how far and how fast to draw down U.S. forces in Afghanistan over the course of this year and the next. And everyone in the room knew it. 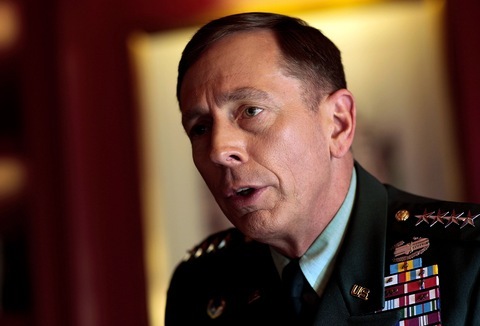 Petraeus didn’t bat an eye. He’d presented the president with several options, each one carrying “an assessment of risk,” he said. “The ultimate decision was a more aggressive formulation in terms of the time line that we had recommended.” But that’s understandable, he quickly added, since only the president has to assess all the factors and considerations, military and non-military alike. 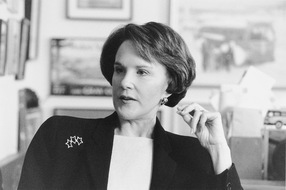 Once “the commander in chief has decided, it’s the responsibility of those in uniform to salute smartly and to do everything humanly possible to execute it.” He pledged to do that in his remaining time as commander of the International Security Assistance Force (ISAF) and, if confirmed, from his CIA post as well. Petraeus’ strategy choice, he’d told the president, would be to maintain virtually all of the 100,000 U.S. forces in Afghanistan through the end of next year, certainly through the summer-to-mid-fall “fighting season.” He wants to transfer the major counter-insurgency offensive, backed by the muscle of last year’s 33,000 “surge” troops, from southern Helmand and Kandahar provinces (where commanders believe they’ve broken the Taliban’s momentum) to the Eastern provinces along the Pakistan border. That’s where the Haqqani network operates, planning and executing suicide bombings in Afghan cities and lethal attacks on American and Afghan troops. But the president’s decision — to withdraw all the surge troops “by next summer,” as he said Wednesday night — leaves that plan in doubt, say some military analysts. The tension came to a head late in the afternoon, when Sen. Carl Levin, D-Mich., asked him if he would have resigned if he disagreed strongly with President Obama’s choice. And where does this leave Petraeus’ plan to mount mount an more aggressive operation in the East? When ranking Republican Sen. Saxby Chambliss, R-Ga., pressed Petraeus point-blank about that — and Levin did likewise — the general deftly sidestepped the questions, saying revised planning had just begun. As the afternoon wore on, Petraeus didn’t indicate any qualms about taking on a new job for a president and White House that just rejected his advice in his current one. I asked his old pal, retired general Keane, if it was hard for Petraeus to enthusiastically embrace the new post. At the CIA, Petraeus’ world will dramatically change. He’ll no longer running the counterinsurgency campaign, but the counterterrorism campaign against al-Qaida. And as he prepares to enter the secret world at Langley, America’s most public general surely knows that as far as the White House is concerned, his next job will be to provide intelligence information, not policy advice.